Darkroom Door with a Simon Says Stamp Monday Challenge. for the Monday Challenge. The theme is Masculine. the kind most guys love the most. Darkroom Door: Tool Shed, Frame Stamp/Mason Jar and Background Stamp/Woodgrain. Ranger Archival Inks: Potting Soil, Jet Black, Tree Branch, Coffee and Watering Can. The link to the Simon Says Stamp Monday Challenge is in the first line, hope to see you there. This is not a sponsored post just me creating with some great products. This is my husband made over! LOL. Great answer to the challenge. Nailed it. Bwahahaha!! 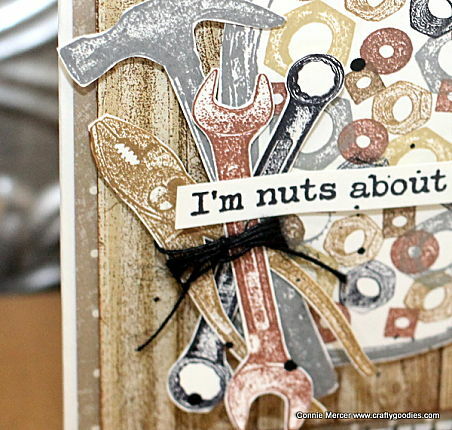 Great man card! Loving the jar full of nuts! This is fabulous!!!!!!!!!!!!!!!! Wow! I'm honored that you chose our challenge to submit to after your break! And what a comeback this card is! I absolutely adore everything you've done here. 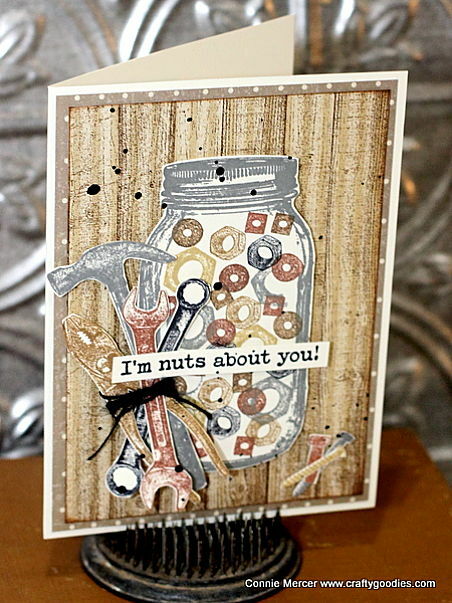 The tools are a definite nod to the masculine theme, but it is also so witty and sweet with that sentiment! I also really like how you kept the wood theme going with that gorgeous background. This card made me smile and I'm so glad you took the time to share it with us for this week's Simon Says Stamp Monday Challenge!